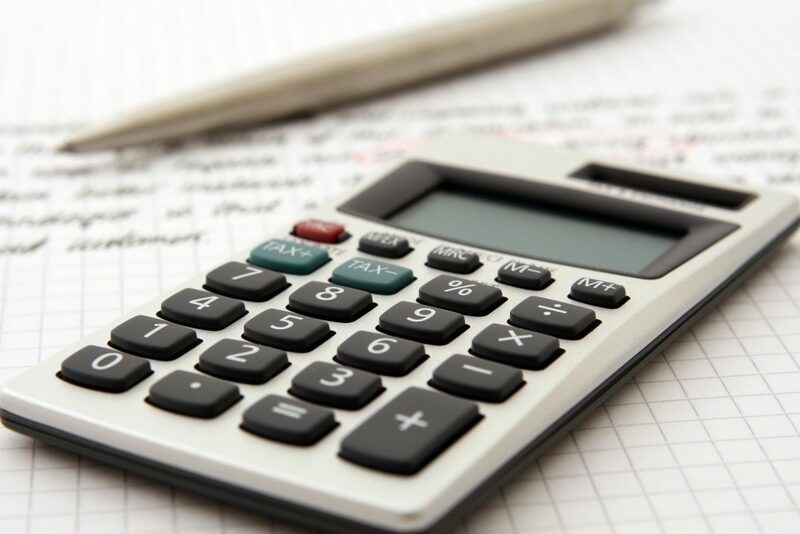 This post about the Best Buy In Home Advisor has been compensated, however, all opinions expressed here are my own. The reviewer has been compensated in the form of a Best Buy Gift Card and/or received the product/service at a reduced price or for free. 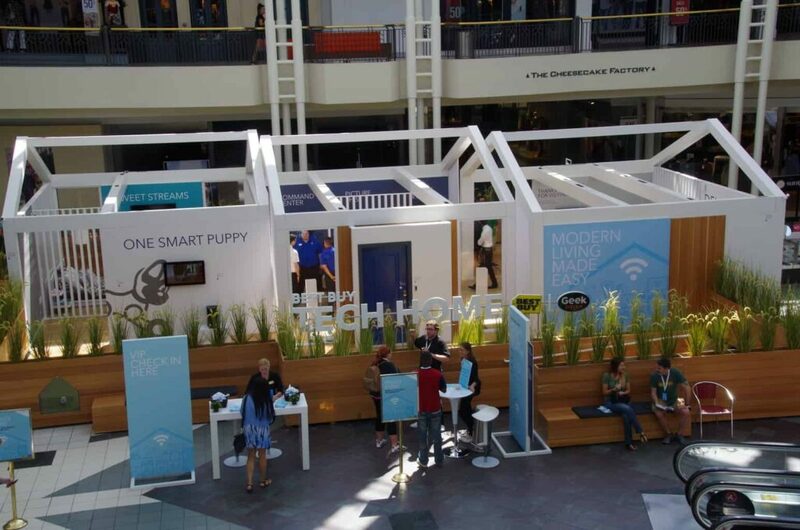 A couple of weeks ago, I got to check out the Best Buy Tech Home at a nearby mall. I was absolutely amazed at how many high-tech products were being offered to make suburban life easier and more organized. Best Buy has partnered with Samsung Smart Things to create an entire smart home system. 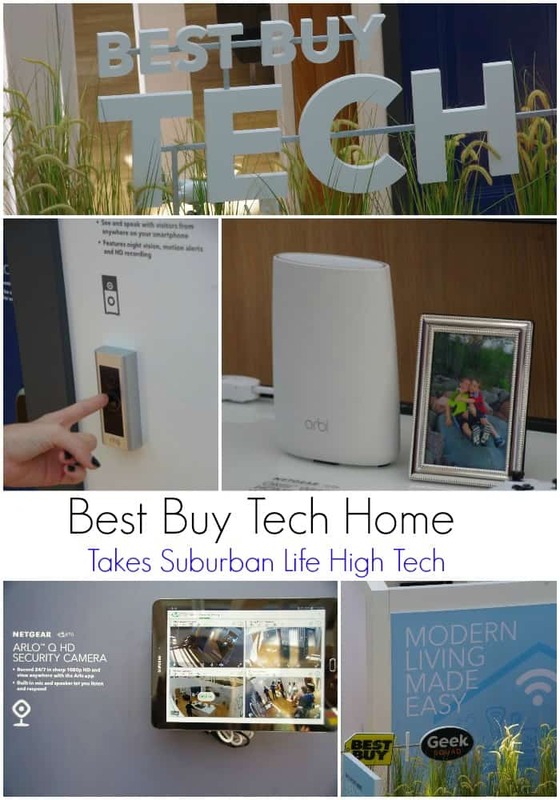 From programmable lights to wireless security cameras, the Best Buy Tech Home was truly amazing. But, I wondered…how do I take all these amazing technology products and integrate them into my own home? I am not necessarily the most technology smart individual. Sure, I can set up my smartphone and get the wireless router up and going, but that is about the limit of my skills. Well, I was happy to see that the Best Buy in home advisor can help take my home from low tech to high tech with very little work on my part. After my tour of the Best Buy Tech Home, I made an appointment with the Best Buy In Home Advisor. I made the appointment in the evening so my husband could be home, too. He’s passionate about high-tech products, whether it’s for music or home security, so I knew he would want to participate in our discussion. The Best Buy In Home Advisor gave us a call to let us know he was en route and was truly a very pleasant guy. I love that he showed up in his blue Best Buy shirt, giving me peace of mind that I wasn’t letting some random stranger into my home! I learned some interesting things about our house and our current wireless network. Basically, I learned that it is pretty pitiful when it comes to handling even our current wireless network needs. We knew this…but seeing the in home advisor with his monitoring gadgets really showed us HOW deficient it really is. See that hot mess right there? That is the central hub of our internet and WiFi service. Up until a year or so ago, it was working okay. However, lately, we can’t watch Netflix on our Internet Ready Samsung TV up in the playroom because the WiFi is too darn slow. It buffers and freezes a movie constantly and drives us all batty. My teens don’t even want to use their phones up there for YouTube videos because they freeze up and crash. I bought an extender but learned some great things from my Best Buy In Home Advisor about why that may still be slowing down our service. 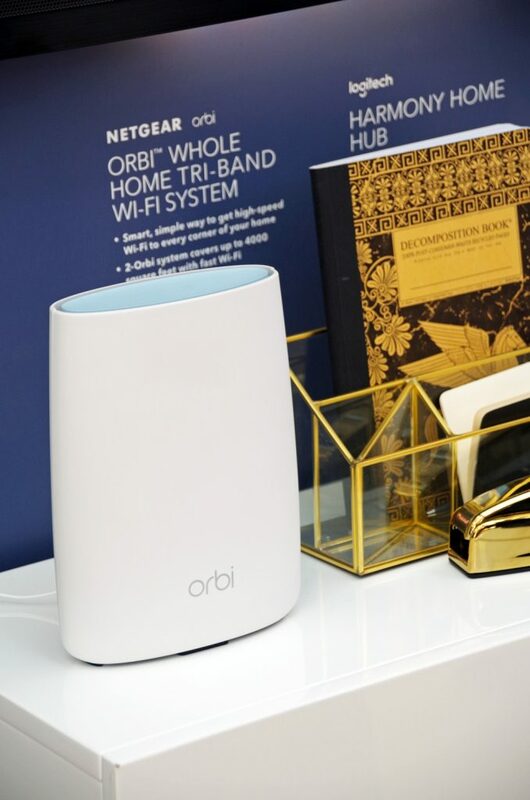 Our Best Buy In Home Advisor had great information to share bout the Orbi Whole Home WiFi system. In order to truly turn our house into a smart home, we need to first do something about our pitiful WiFi. He showed us each room and how good (or bad!) the signal was. Turns out, that even WITH our current WiFi extender, our playroom (where the beloved television is) is barely in the ‘green zone’ when it comes to quality of signal. 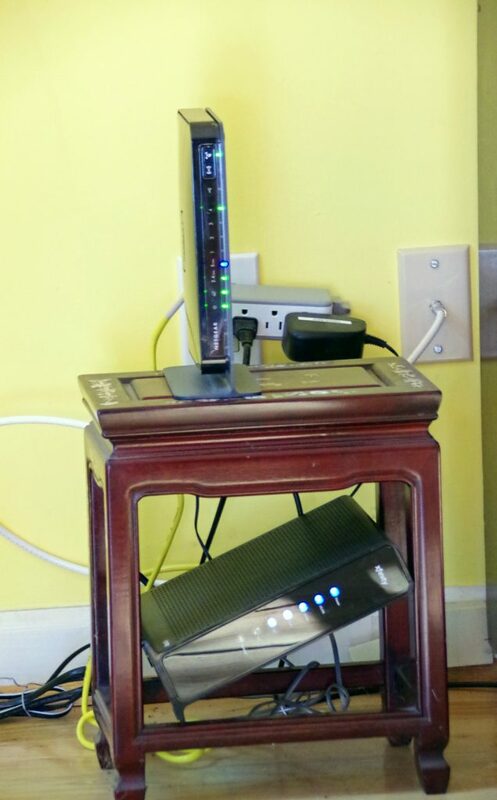 So, step one for us is going to have to be improving and upgrading our WiFi signal. We learned quite a bit about our home thanks to the Best Buy In Home Advisor and he took notes throughout our entire conversation about the things that we would be interested in learning more about. But, we weren’t ready to commit to anything right then and there. And you know what? That was totally okay! Your Best Buy In Home Advisor knows that turning your house into a high-tech home is a big deal. I received my estimate from my Best Buy In Home Advisor within 48 hours of his trip to my house. 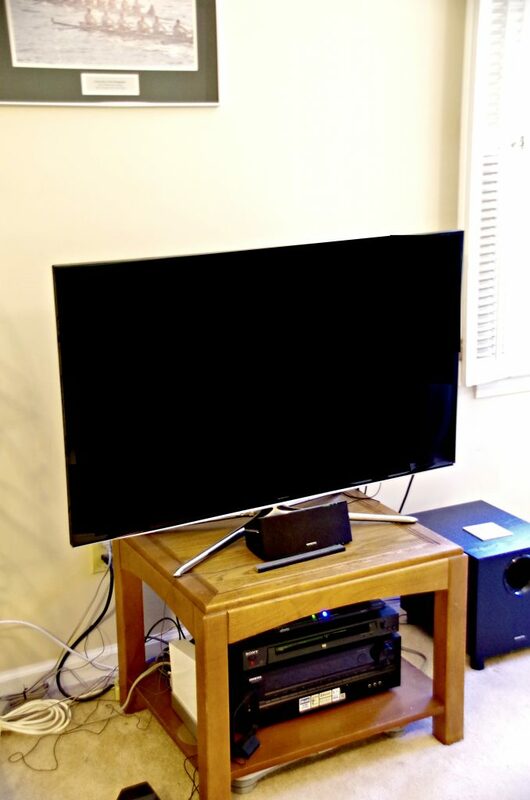 It had all of the items on it that we had discussed, as well as installation costs from the Best Buy Geek Squad. And he will act as our ‘go to guy’ for anything we choose to do in upgrading our home. I love that he is available via email for questions and will offer opinions whenever I have a question about upgrading my home. We are slowly taking our home more high tech, from the Internet-connected TV to programmable lights, we are trying to find a balance between the ‘fun’ stuff (that the teens really want!) to the security features that we feel are important to keep our home and family safe. I was impressed with the variety of smart products that the Best Buy Tech Home enabled by Samsung Smart Things had to offer. Over the coming months, we hope to upgrade our WiFi and get started making some improvements to the technology around our home. Would you call the Best Buy In Home Advisor for your Smart Home Upgrades? Learn more about Best Buy and the Best Buy Tech Home by following them on Facebook and Twitter. I had no clue Best Buy offered this! Very cool. I love that they provide their own tech support. Nifty service! That is so cool! One of my favorite things about Best Buy is that they help you with your tech AFTER you buy it. Our go to place for new tech items... and the bonus is they are still there for after purchase. We all have questions after we get it set up, so they have made our life easier. 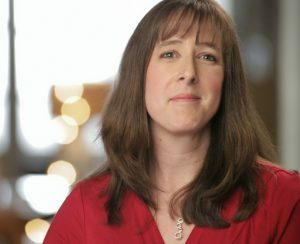 I would call an in-home advisor when going to a new house! Which we will be doing soon... so this is great food for thought. I didn't even know it was a possibility.